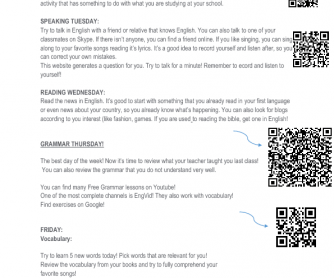 This worksheet contains a weekly study plan for your students. It covers all the essential skills they need to practice. 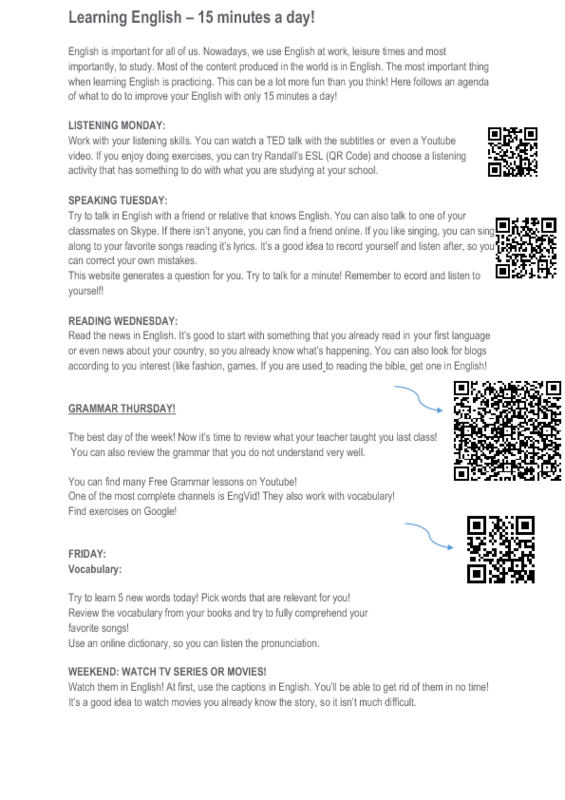 There are QR code with links for websites they can use in their studies. It's a good idea to remember your students that they're responsible for their learning in the first day of class!